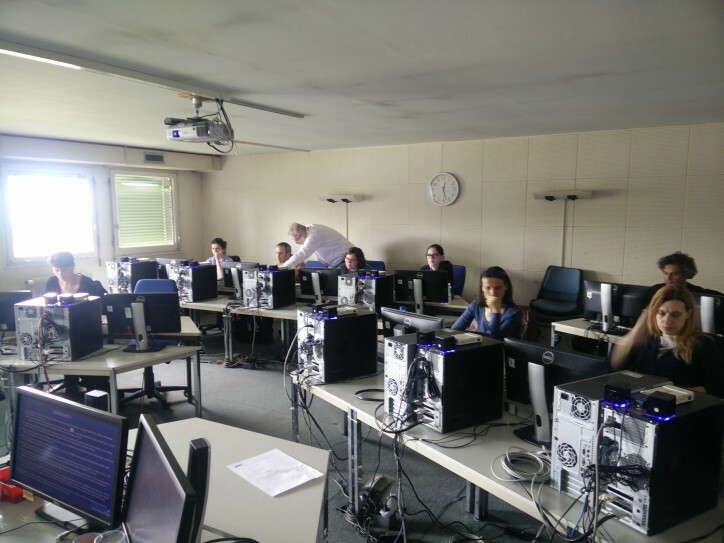 Introduction to Nucleonica: Core Applications and Tools, 29-30 Oct. CERN, Switzerland, 2018. This 2-day course focused mainly on the Nucleonica core applications with emphasis on Case Studies. A detailed description of nuclear data with particular reference to the various Nucleonica nuclear databases was given. Core applications were demonstrated through the use of the Radiological Converter, Nuclide Mixtures, Decay Engine++, and Dosimetry and Shielding H*(10). The new e-Learning centre to support the Nucleonica applications was described. A key lecture with exercises was given by Mr. P. Bertreix (CERN) on the e-Ship++ radiological transport assistant application in Nucleonica. A special session was devoted to gamma spectrometry tools including the Gamma Spectrum Generator, Gamma Library, Cambio and WESPA. The latter tools (Cambio and WESPA) were used for the identification nuclear and radioactive materials. Speakers included Mr. P. Bertreix (CERN) in addition to Dr. J. Magill and Mr. R. Dreher from the Nucleonica team.